Made with high quality materials and adjustable straps, Helps to keep pet’s body temperature cool in summer by releasing excess heat and warm in the winter by retaining heat. We know what is the best for your pet! Reflective Safety : 3M reflective material, ensuring the canine’s safety above all else whether it is day or night. Exterior : Durable outer layer with scratch-resistant Nylon material. Ergonomic design : Easy on, easy off. Reduces risk of common harness chafing->irritation of skin by repetitive friction. All-weather feature : Helps keep pet’s body temperature cool in summer by releasing excess heat and warm in the winter by retaining heat. please make sure your dog’s chest size,and choose the right size.Allow 1-3 CM error in the Size Chart. Note : select the correct size.Mainly depends on the size of the chest. cool breast-band, but, дороговата. (француза just the size 15 kg) -store. recommend. bulldog подошёл франзуского for our perfect! not in stores and personal подходило!!! quality is excellent. and here only have stock standard маломерит neck in the waist maximum. Качеством и доставкой доволен полностью. Брал размер L на миттельшнауцера, немного великоват, но я брал с запасом, на всякий случай. Товар и продавца рекомендую. Доставили в течении 2х недель, продавец общительный. Рекомендую. Хорошее качество, быстрая доставка.отлично подошла 6 месячному хаски размер L.
for добермана took a. shoulder to 75 cm, weight 53-55 kg. just size xl. good quality, advise. добротно made clips snap lock good. took 13 kg french bulldog on size m almost turned settings minimum length you have grow. two only wish of: 1. make адресника chest pocket and 2. the top it стучали not buckle and iron ring part to back. about shipping: 29.04.2019 made order, 02.05.2018 sent (3 days), to russia arrived (g. moscow) 11.05.2018 place order. total of 9 days send. about packing: qr code package with brand discount and целлофановый 2 $. about the order: breast-band very have quality even in principle. tailored conscience to me so on. the ordered puppy. большевата while. if can modify шлейку but. вобщем like us until it. for all sim. all good. excellent, sent fast, дошла fast, but not to not прислала mail address the site, in filed manhunt, нашлась, платежку and newborn all выслал store. молодец. продаван super. high quality goods. recommend. 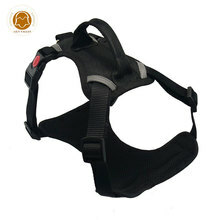 breast-band size s will be as with the chest and neck подрастет puppy. super. quality is excellent, in shopping with сравнивал moscow. reached too fast and the store is super considerate. the product has a quality sensational, is all the that promises. breast-band good quality good! соответсвует all description and size! recommend store дошла parcel in 9 days moscow up!! breast-band excellent! husky to ordered size l. unfortunately большевата little proved, while walking ёрзает (but not пскова come 9 days before order please can! store not общалась. good quality and strong breast-band. dog dog поняла active and manage this is this very become lighter not! to seller but many thanks!